The perfect storm of character, story, cast, writing, and direction came together last year in the first season of Stranger Things, and the next leg of the story looks surprisingly just as good. Stranger Things 2, a.k.a. Season 2, will be dropped en masse on Netflix two weeks from today, October 27, 2017. Watch all the promotional material for new season in the video clips below! 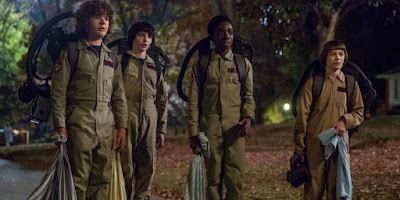 Since the first day Stranger Things (2016-Present) was released, I have been a vocal proponent and advocate for it via social media, my blogs, and in everyday conversations with people. I am sure I sounded like a broken record there for a bit, but it was a surprisingly hard sale. The early marketing and trailers did not fully sell people on the show's premise or future promise. The first season was a magic show that hit just the right chord of nostalgia, horror, science fiction, and adventure to be instantly daring, bold, and fearlessly recognizable as its own original thing, yet still oddly accessible to mainstream audiences. 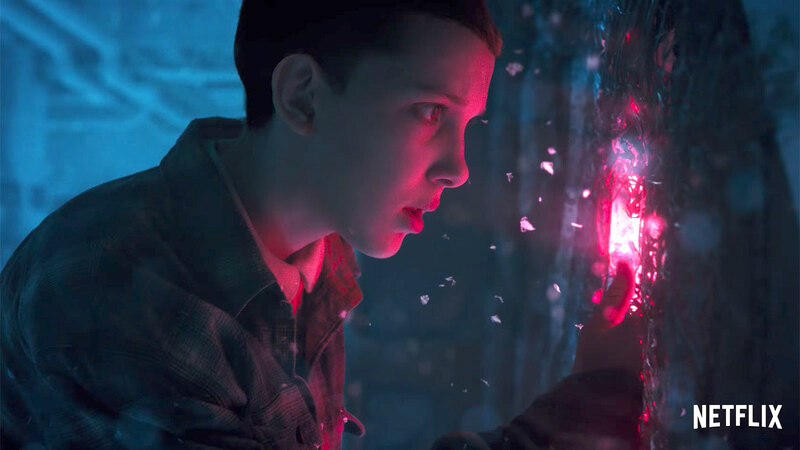 The child actors and the rest of the remarkable ensemble cast were propelled to stardom and made the Duffer Bros. an instantly recognizable filmmaking duo to the average person. 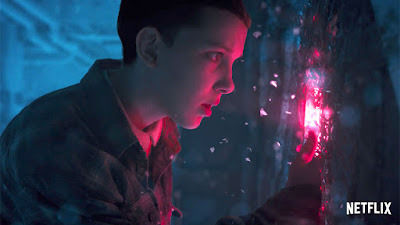 Stranger Things is easily the biggest hit Netflix has had and it promises to remain so if they can consistently deliver such high quality into the future. I would advise the cast and crew to not let their success get to their heads, though. The same simple and humble storytelling that made their first season a new classic is the same thing that will secure their future seasons remain in the cultural lexicon for centuries ahead. I would hate to see the show begin to bend under the weight and pressure of their own success. Stay true, the little show that could! But all signs are looking promising for the upcoming season and the trailers and marketing this year has been a marked improvement over that preluding the first season last year. Stranger Things has earned our goodwill and excitement. Let us hope Season 2 proves that the Duffer Bros. are not one-hit wonders, but true artists and entertainers!